As you begin to plan programs for the 2019-20 concert season, we hope you will consider inviting the Seipp / Sheets Trumpet and Organ Duo to perform. 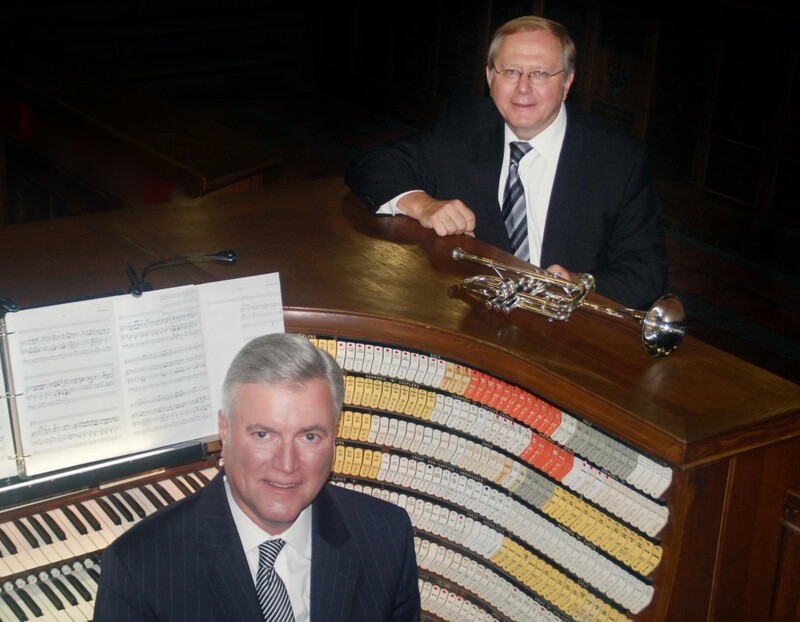 Chuck Seipp, trumpet, and Randall Sheets, organist, are in constant demand, and regularly receive accolades for their innovative programs which engage and entertain audiences. They have performed over fifty concerts in seventeen states during the last four seasons, and have produced three CD recordings. They have been heard at Washington National Cathedral, The Franciscan Monastery of the Holy Land, West Point Cadet Chapel, and will be featured artists at Piccolo Spoleto’s L’Organo Recital Series in June 2019. In addition to standard repertoire, they regularly commission new arrangements as well as create their own arrangements. Their diverse programs offer classical, virtuoso, lyrical, humorous, and patriotic works often in conjunction with video presentations and audience participation. Dr. Sheets is Ceremonial Organist for Arlington National Cemetery, and Dr. Seipp is a Shenandoah Conservatory Professor and Sergeant Major (Retired) from The United States Army Band, “Pershing’s Own”. We would love to hear from you about Concert Series in your region where our programs may be of interest. Thank you for your consideration and please feel free to contact us for any additional information. We look forward to hearing from you. See us live on our archived performance at the Franciscan Monastery in Washington DC. Three Seipp/Sheets Duo CDs available on request. Trumpeter Chuck Seipp joined the faculty of the Shenandoah University Conservatory of Music fall of 2013 as Adjunct Associate Professor of Trumpet. He was Visiting Assistant Professor of Trumpet at Texas Tech University from August 2012 to May 2013 and prior to that, performed extensively throughout the United States and abroad as member of The United States Army Band, “Pershing’s Own” retiring in 2012, culminating his 32-year career as Concert Band Group Leader. Sergeant Major Seipp performed in national, presidential and historical world events, concerts and special events in Washington, D.C. as well as funerals and wreath laying ceremonies at the Tomb of The Unknown Soldier in Arlington National Cemetery. He performed with the Concert Band, Orchestra, Ceremonial Band, Herald Trumpets, Brass Quintet and was a featured soloist. Chuck has toured and recorded solo trumpet and organ repertoire throughout Europe with world–renowned organist Diane Bish—appearing regularly on her “Joy of Music” television series as trumpet soloist as well as several performances with The U.S. Army Brass Quintet. Through CJ Seipp Music Publications, he markets his own brass arrangements, many of which have been played and recorded by the Canadian Brass Quintet, The U.S. Army Brass Quintet and many groups around the world. Chuck’s recording project of The Wedding Book, a collection of his own arrangements, has proven to be a valuable resource for organists and trumpet players. As an active teacher, soloist, clinician and performer; he has performed locally with the National Symphony Orchestra, Washington Opera House Orchestra, Washington Ballet Orchestra, Washington Bach Consort, and leads The Commonwealth Brass Quintet. Chuck holds an Undergraduate Music Education degree from The University of Kansas and both Master and Doctoral degrees in Trumpet Performance from The Catholic University of America. Focus and enjoyment for the past several years has been traveling the country performing concerts with colleague Randall Sheets, Arlington Cemetery Ceremonial Organist, as the Seipp/Sheets Duo. Chuck is a Yamaha Performing Artist. Randall Sheets began his musical studies in piano and organ while growing up in North Carolina. He holds degrees from Wittenberg University and Bowling Green State University, and received his doctorate from the University of Maryland. Throughout his graduate study Dr. Sheets taught at the University of Maryland and the Smithsonian Institution, and later taught at the Levine School of Music, the National Cathedral School, and the Landon School. His scholarly work includes several published articles and many lecture-recitals. In 1986, he was awarded the Liszt Commemorative Medal by the Hungarian Minister of Culture for his work as Festival Director of the Franz Liszt Centennial Celebration held in Washington, D.C. Dr. Sheets has been Ceremonial Organist for Arlington National Cemetery for the past twenty years, where he performs over 1000 services a year in the historic Old Post Chapel and the Memorial Chapel. 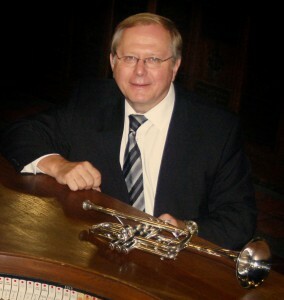 He performs frequently with trumpeter Chuck Seipp in the Seipp/Sheets Trumpet and Organ Duo. In addition, he is the Organist/Music Director at Culpeper Baptist Church, and Organist for the First Church of Christ, Scientist, Mount Vernon. 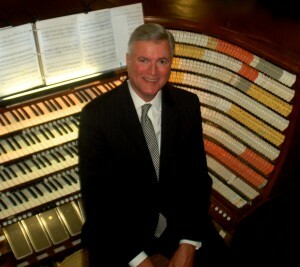 Concert appearances as an organist include programs at Washington National Cathedral, The Franciscan Monastery of the Holy Land, West Point Cadet Chapel, National City Christian Church, The Basilica of the Shrine of the Immaculate Conception, St. Luke’s Catholic Church, McLean, and historic Bruton Parish in Williamsburg, Virginia as well as churches in Illinois, Wisconsin, Minnesota, North Carolina, South Carolina, Iowa and South Dakota.